Should retired people invest in Mutual Funds? Retired people usually have their savings and investments locked up in bank FDs, PPFs, gold, real estate, insurance, pension plans etc. Most of these options are difficult to convert to cash immediately. This may lead to undue stress in case of medical or other emergencies. Mutual Funds provide the much-needed liquidity to retirees as they are easy to withdraw and offer better post-tax returns. Most retired people fear the volatility or fluctuation in returns of Mutual Funds and stay away from them. They should put some part of their retirement corpus in Debt Mutual Funds and go for a Systematic Withdraw Plan (SWP). This will help them earn a regular monthly income from such investments. Debt funds are relatively safer than equity funds as they invest in bonds issued by banks, companies, government bodies and money market instruments (bank CDs, T-bills, Commercial Papers). 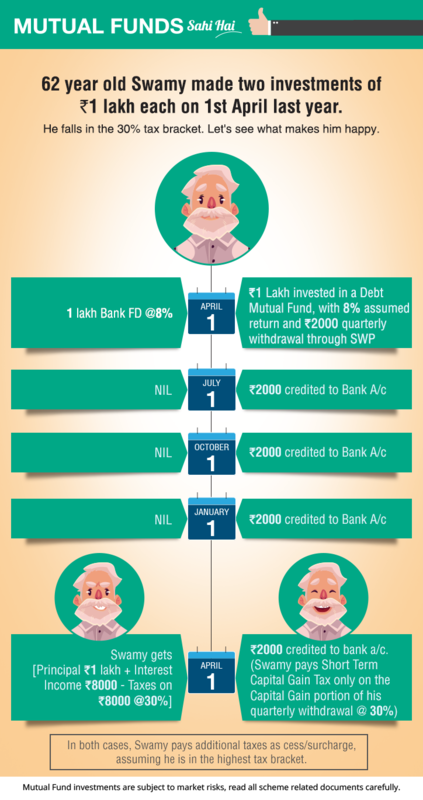 SWP in debt funds provides tax efficient returns as compared to bank FDs. Income from FDs/pension plans are taxed at higher effective rates compared to withdrawals under SWP. You can easily stop a SWP or change the withdrawal amount anytime depending on your need unlike in a pension plan. 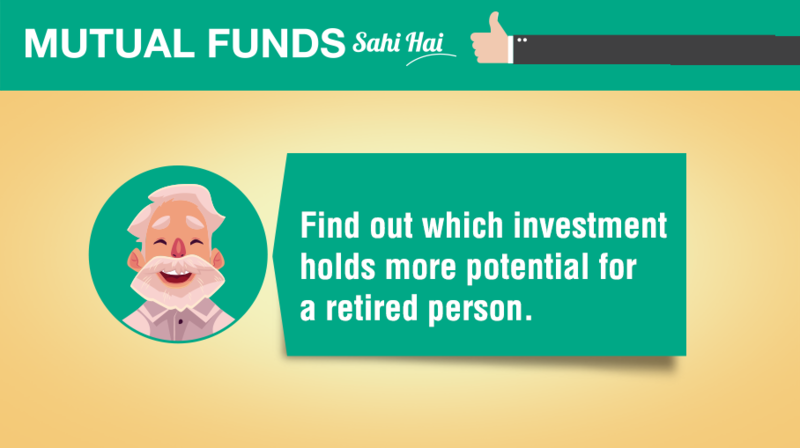 Thus, retirees should include Mutual Funds in their financial plans.